Eliot Ness, the FBI agent responsible for bringing down the notorious Al Capone, had a simple plan. Ness convinced his superiors to, “Follow the Money and you will find the bad guys.” He was right, and this approach has been used by various law enforcement agencies ever since to ensure compliance with federal laws and mandates. With this in mind, let’s explore a federal mandate that is designed using this concept. This is the Office of Foreign Assets Control (OFAC) mandate. Many dealerships are unaware of the requirements that the OFAC mandate place on their RV dealership. According to the US Government’s website, “The Office of Foreign Assets Control (OFAC) administers and enforces economic sanctions programs. These are primarily against countries and groups of individuals, such as terrorists and narcotics traffickers.” OFAC is administered and operated by the United States Department of the Treasury. How Does OFAC Apply to the Everyday Business of a Dealership? OFAC regulations mandate that dealerships check to ensure that they are not conducting “Prohibited Transactions” with a business, group, or individual that OFAC has determined to be on their Specially Designated Nationals (SDN) list. The SDN list is published by OFAC and includes those businesses, groups, or individuals that are determined to be a possible threat to the security of the United States. How Does a Dealership Ensure It Is Complying with OFAC’s Requirements? This is actually simple. Any person in the dealership may pull an OFAC check. You can check this list by visiting OFAC’s website, or you may access a host of private websites that are constantly updated, that provide a printer friendly format for your files. Do a web search for SDN List or OFAC, and search for a private website offering these services. Also, several lending institutions and service contract providers offer an OFAC check via their online resources for free. What Needs to Be Done if a “Hit” Is Made on a Potential Customer? If it appears that information provided matches up on an OFAC check, (a “Hit”) then check the information carefully against the information provided by the potential customer. If there appears to be a solid match, then the authorities need to be contacted immediately. Who Should You Contact if a “Hit” Is Made? If a “Hit” is made, you can contact the local FBI office, or the Financial Crimes Enforcement Network (FinCEN) at (800) 949-2732, or OFAC’s hotline at (800) 540-6322. What Should a Dealership Do if They Are Not Sure About a Possible Match? Exactly Who Needs to Have an OFAC Check? Determining exactly who should have an OFAC check done is a question without a definite set of answers. However, it has been universally determined, by several professionals in this area, that the following should certainly have an OFAC check and a file maintained to ensure compliance. Potential Consumers/Customers: This OFAC check should be conducted prior to the completion of a sale. Someone simply browsing the sales floor, or the sales lot, does not appear to fall under the need for an OFAC check, this is because they are not actually conducting business or transactions. Employees: Simply pull an OFAC check and place it in their employee file. Vendors/Distributors: Since dealerships deal with a wide variety of vendors, it is certainly advisable that an OFAC check be pulled on major vendors such as RV manufacturers (since they are required to check on their respective suppliers and vendors), this should shortcut the need to pull the vendors of such items as the microwave, awning, etc. However, if you have a business dealing with other vendors, such as suppliers or distributors, it is advised that you pull an OFAC check and place it in that vendor’s file. Product/Service Providers: OFAC checks must be done on such service providers as service contract companies, environmental protection plan providers, GAP insurance providers, etc. 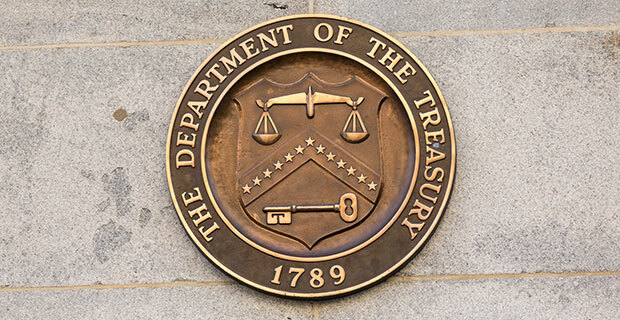 The key to determining when an OFAC check should be conducted is to be consistent. The dealership should already have a safeguard and compliance plan. There should be a section added to this plan that ensures that each employee acknowledges their understanding of the dealership’s policy on OFAC. The penalties and fines for violations can be substantial! Depending on the program, criminal penalties can include fines ranging from $50,000 to $10 million, and imprisonment ranging from 10 to 30 years for willful violations. Depending on the program, civil penalties range from $250,000, or twice the amount of each underlying transaction, up to $1,075,000 for each violation. However, here is the great news, the government has provided all the necessary tools and information, and has made them easily accessible for dealerships to be 100 percent compliant.